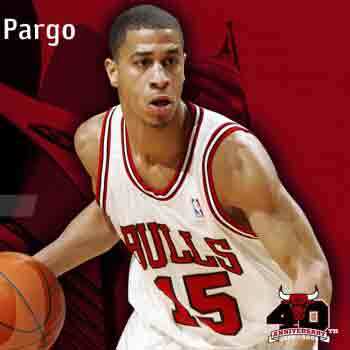 Jannero Pargo is a prominent American professional basketball player. He plays for Charlotte Hornets of the NBA. Jannero has a bright basketball career, as he has played for various successful teams like L.A Lakers, Chicago Bulls, New Orleans, Washington Wizards and now for the very famous Charlotte Bobcats/Hornets. Pargo was born on 22nd October 1979, in Chicago, Illinois, U.S, under the birth sign Libra. He is an American by nationality belonging to the Black-American ethnicity. He has a brother named Jeremy Pargo who is also a professional basketball player. Pargo attended the Paul Robeson High School in Chicago, Illinois. He graduated from the high school in 1998. He was highly interested in playing basketball since his early days and has spent most of his childhood days playing basketball. Pargo joined Neosho County Community College in Chanute, Kansas in 1998. He later transferred to the University of Arkansas in 2000, where he played collegiately. After his graduation in 2002, he decided to pursue a basketball career due to which he worked hard and played in the NBA for the Los Angeles Lakers. He played for Lakers till 2004 with an annual salary of $1.223 million. He played 47 games in total for the team. Pargo then signed a deal with Toronto Raptors after he was released by the Lakers. He played only 5 games with Toronto and went on to play for Chicago Bulls from 2003. He played for the Chicago Bulls until 2006. Pargo played 102 games for Chicago and his career peak came when the points achieved in a game was 13.5. After that Pargo began playing with the New Orleans/Oklahoma City Hornets. While the 2008 playoff with the Hornets his career began to shine when he was sent off the bench to replace fellow Chris Paul. Pargo went on to an average of 10.3 points in 12 playoff games and also hit big three-point shots in the 7th game of the Western Conference semifinals against Spurs. In the 2007-2008 NBA Season, the Russian League team Dynamo Moscow gave a one-year offer to Jannero Pargo with a $3.8 million contract. Pargo went on to secure a buyout from his Russian club in January 2009 and then signed a contract with Greek League club Olympiacos Piraeus. On 5th May 2009, Pargo was released from the contract. Pargo went on to secure an average 3.5 points and 1.4 assists in the Euroleague. Pargo signed a one-year contract with the Chicago Bulls again on 13th July 2009. He had a sudden knee injury and was recovering very slowly. After a few games, Pargo signed a deal with New Orleans Hornet again but was released very quickly even before the start of the regular season due to his slow recovery. Again for the third time, Pargo signed a contract with Chicago Bulls and played only a few games. Then on 16th December 2011, Jannero was relinquished from the contract by Chicago Bulls. So Pargo went on to sign a contract with Atlanta Hawks 4 days later. Pargo played 50 games with Atlanta before signing with the Washington Wizards on 1st October 2012. Pargo was released from the contract on 15th November 2012 after 7 games. Pargo signed a 10-day contract with Atlanta Hawks on 21st January 2013 and also the second one on 2nd February 2013. Charlotte Bobcats and Pargo signed a 10-day contract on 14th March 2013. The Bobcats again initiated a 10-day contract to Pargo on 24th March of the year. Pargo went on to sign the remaining of the season with the Bobcats on 3rd April 2013. Again on 9th August 2013, Pargo re-signed with The Charlottes. Recently on April 2014, the Charlotte Bobcats has renamed Hornets so Jannero resigned with the Charlotte Hornets on 25th July 2014 with a one year deal and $1.45 million contracts. In his entire career, Pargo has played 41 playoffs. In 2017, he became the assistant coach for Windy City Bulls of NBA G league- which affiliate of the Chicago Bulls of NBA. Pargo's net worth is $3.5 million. He earns an annual salary of $2 million. He resides in a lavish mansion valued at $2.25 million. Pargo earned in millions from his successful playing career. Here's the list of salary as per his contract. Pargo stands tall at the height of 6 feet 1 inches and weighs a total of 175 lbs. He is a well-known professional basketball player. Jannero Pargo married Laquisha better known as Malaysia in 2006. Pargo lived in Riverwoods, Illinois with his wife, Malaysia, till 2012. They were married for eight years but due to some dispute and news of infidelity on Malaysia’s side the marriage broke and resulted in separation on December 2012. They filed for divorce in 2014. Many sources including TMZ Sports revealed that the main cause of the couple’s separation was due to an affair of Malaysia with Diddy’s former rapper turned pastor Mase. Amazingly, it was revealed that Mase had also recently filed a divorce with his wife. The news becomes strong as Malaysia finished shooting a music video for Mase’s upcoming single. In 2014, it was confirmed that Malaysia is already Mase's girlfriend. Jannero and Malaysia filed for divorce where Malaysia was sought after taking sole legal and physical custody of their children with only visitation rights to Jannero. She also went on to ask for spousal support and compensated coverage for her legal fees and was lucky as the judge ruled in her favor. Pargo paid a total of $15380 each month for child support and $7500 each month for spousal support. Jannero also has to hand over a total of $25000 for his ex-wife’s attorney’s fee. Pargo has turned out unlucky in this particular situation but his fans still adore him and hope for his best. Jannero Pargo's height: he has a height of 6 feet (1.85m). Age: As of 2018, he is 39 years old.